The adorable Talking Puppy will repeat everything you say in a funny voice. You can poke him, slap him or have him act out a bunch of pre-recorded comedy clips. Record everything he does and make your own Talking Puppy videos to share via Facebook, YouTube or Email. His expressions and lifelike movements will amaze you and make your friends laugh. Whe making videos every action and sound is recorded for you to share. 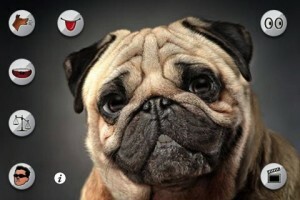 Enjoy hours and hours of fun with Talking Puppy. Adults and children alike will love it.